Minimally Invasive Gynaecological Surgery (MIGS) / Gynaecological Laparoscopic Surgery has revolutionized the face of Gynaecological Surgery. It is now an indispensible part of the modern Gynaecological Surgeons’ armentarium and the advantages that it offers are indisputable. The superior magnification and vision, together with the constant eye – hand – tissue distance, affords greater accessibility to the deeper areas of the female pelvis which translates into vastly superior outcomes for patients undergoing this kind of surgery with reduced post op pain and discomfort, quicker recovery time and return to normal duties are just some of the benefits. 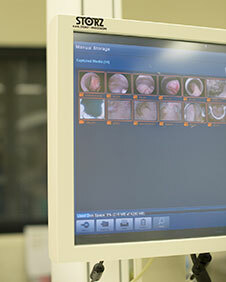 Making the transition from conventional surgery to MIGS does entail a bit of a learning curve, hence the need for workshops such as these, to equip Gynaecological surgeons with the necessary skills and expertise to perform safe and efficacious Laparoscopic & Endoscopic procedures, the scope of which is expanding at a breathtaking pace. The workshop was conducted under the auspices of the Endoscopic Division of the Durban Obstetric & Gynaecological Society (DOGS) in collaboration with the International Society of Gynaecological Endoscopy (ISGE). An international faculty comprising highly acclaimed experts in the field of MIGS, from countries as far afield as, India, Belgium and Italy attended.Prof. Prashant Mangeshikar (President of ISGE) of India, Prof. Bruno van Herendael (Vice President of ISGE) of Belgium, Dr Alfonso Rosetti & Dr Ornella Sizzi of Italy, were on hand to impart their knowledge, experience and expertise through a series of live surgeries and didactic sessions to local Gynaecologists. The international faculty was assisted by Prof. Bash Goolab (President of the South African Society of Obstetrics & Gynaecology) and current Chairman of the Training Committee of ISGE, Dr KT Subrayen, Dr Siva C Moodley, Dr Morgan Pillay, Dr Suren Ramphal and Dr Marlin Naicker. 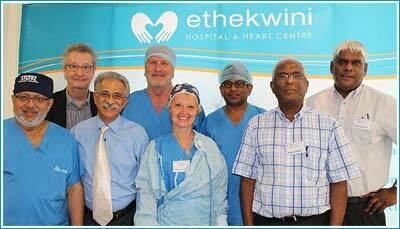 The workshop was attended by more than 50 delegates from across the country, and was hosted by the Ethekwini Hospital & Heart Centre which boasts state of the art facilities for the performance of Minimally Invasive procedures.